Paso Robles CAB Collective member Cass Vineyard & Winery sits on our AVA’s east side, about 8 miles from downtown Paso Robles. 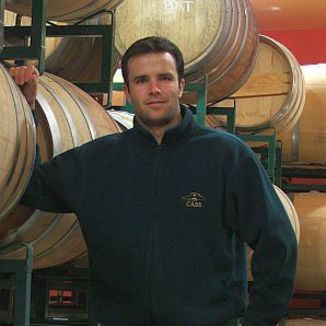 Devoted to the production of 100% estate-grown wines, Cass focuses primarily on Rhône and Bordeaux varieties. Cass wines are inspired by owners Steve Cass and Ted Plemons‘ visit to Stellenbosch, South Africa. On that trip, Cass and Plemons fell in love with the South African wine style, as well as the ambiance of the tasting rooms there, and even found Cass Winery’s chief winemaker, Lood Kotze, by posting a job to the help wanted board at the University of Stellenbosch. The Cass Winery buildings were built by co-owner, Ted Plemons, and integrate beautifully with the surrounding landscape. In addition to a full-service tasting room on site, Cass Winery also offers a cafe under the direction of Executive Chef, Jacob Lovejoy, who creates a variety of specialty plates from crab cakes to smoked chicken salad. The café is open daily from 11AM to 5PM and is also available to host private parties and events.